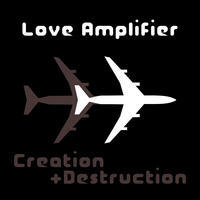 크레이지슬롯 사이트Love Amplifier : Creation and Destruction. "Creation" was inspired almost entirely by a single Chemical Brothers concert, and the afterglow that resulted and followed me through my life for the next year or so. "Destruction" was inspired by the negative reactions to my positive, uplifting music, and the positive reactions to my dark, depressing music. "Hotel Ryugyong" is by far my favorite track that I have ever written. I remixed it as "Yellow Star" for the mixtape "12 Steps to Serenity", and it is included on my later album "Virtuoso 13". It is based on a melody that came to me as I stared at the sun while my eyes were shaking. "Creation" and "Destruction" were my first two albums, composed between 2007 and 2009. In addition to these two albums, the combined album "Creation and Destruction" contains several additional tracks that didn't make it into either album.